TORONTO, ON, NOV. 28, 2018/insPRESS/ – Kyle Winston, President and CEO of CRU GROUP today announced that Jim Rich, a 30-year industry veteran, has joined the company as U.S. Director of Sales. “Jim is a seasoned claims professional with decades of experience in developing customer-centric solutions for insurer clients.” said Mr. Winston, “We are thrilled that he has agreed to join our rapidly growing U.S. CRU team”. Jim Rich has served as a senior officer of several of America’s largest claims adjusting firms and developed significant senior executive management experience in delivering progressive and diversified claims management to the insurance carrier marketplace as well as via third party administration. His career includes sales, as well as operational and account management across all levels of the property and casualty claims marketplace. Mr. Rich will work out of his home state of Arizona and will report to Laura Pastore, VP Business Development in his Sales capacity and Paula Holladay, U.S. Operations Manager in his Operations capacity. 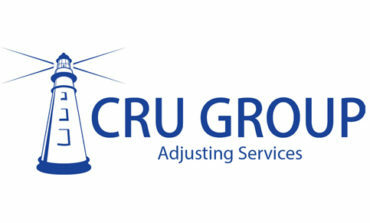 Founded in 2004, CRU GROUP provides staffing solutions and claims management services for the Property & Casualty industry across North America. CRU Adjusting Group currently operates four main units: Catastrophe Response Unit Inc. Canada, Catastrophe Response Unit USA Inc., market-leading specialty claims adjusting firm Maltman International and The Academy of Insurance Adjusting (AIA). The Group’s Head Office is in Toronto, Canada.